The Dodgers have not won or appeared in the World Series since 1988. With the spending the ownership will do in the next decade, I would be surprised if the team doesn’t rake in multiple championships. But it will take diligent finagling on the brass – to skate around the Luxury Tax with the pending CBA of 2017 coming in. Yes the ownership is willing to spend boatloads of money, but they have to be smarter than they were in 2015. This article deals with sensitive material that will self destruct in a few years. Whether the current regime wants to be saddled with blame or not, or put most of it during the Ned Colletti days, last year’s fiscal budget was a dumpster fire. Not only did the franchise exceed the Luxury Tax Threshold again at (over $189 MIL), they put it to shame – reeling in a lofty mark of $314 MIL in total Cap Spending. For folks scoring at home, that is $125 MIL over the limit, and with a third year penalty at 40% now, the squad will take down a historic levy hovering around $50 MIL. With the Dodgers losing yet another Series in the playoffs they have some big questions about their offseason forthcoming. Don Mattingly will likely be fired. Then there is the Zack Greinke situation. The 31 Year old RHP has a legitimate shot to be the NL Cy Young Winner this year (if it is not Jake Arrieta) – and he couldn’t have picked a better campaign to do this with an opt out clause in his contract. He will command a hefty sum in the winter. Dodgers Brass’ Is Brutalizing The 2015 Payroll ($267 MIL) With Dead Money + Injury Plagued Chuckers! Since Andrew Friedman has taken over, he has shown a blatant disregard for payroll, by cutting pitchers that had guaranteed deals, while doling out cash to often injured chuckers, or players that have limited success on their resume. The LA NL franchise is nearing $267 MIL for 2015 patyroll and are in the 3rd year of the Luxury Tax Penalty (40%). The franchise located at Chavez Ravine, are looking at a $30 MIL stipend to pay the MLB for that very infraction. Next year(9nd every year after till they drop under the Threshold once, they will rise to a 50% penalty/) One certainly has to question their last 5 or 6 moves in accordance with payroll. The Dodgers better hope that the forthcoming CBA doesn’t throw the hammer down on high salary teams over the Luxury Tax – when the new deal with the MLB and MLBPA is put into place before the 2017 season. What the hell is Andrew Friedman doing? Lets just eat the contracts on Brian Wilson and maybe Brandon League, while paying the freight on Dan Haren’s 2015 salary ($10 MIL) to play for the Marlins, and also forking out money to Brett Anderson, Brandon Beachy and also coming to a theater near you soon. If that weren’t enough, they have signed perennially injured/malcontent guys in Erik Bedard and Dustin McGowan on Minor League deals. The club will also digest half (or more) of Andre Ethier‘s remaining deal (3 YRs, $56 MIL) if another franchise will take them off of their hands. Yes that was not the current front office’s deal, however the throwing away of money is still directly tied to their decisions now. Pretty soon the entire total for the dead money in the Dodgers team salary will rival the contract marks of the Tampa Bay Rays and Oakland A’s if this trend persists. The Los Angeles payroll was supposed to be reigned in – and not jumping to an ALL – Time record. Even with losing the albatross contract of Matt Kemp, the Dodgers are sitting at nearly $266 MIL in projected team payroll. Let’s add a 40% penalty for being a 3rd time offender to the mix, and you can kiss another $30 MIL out the door at Chavez Ravine. 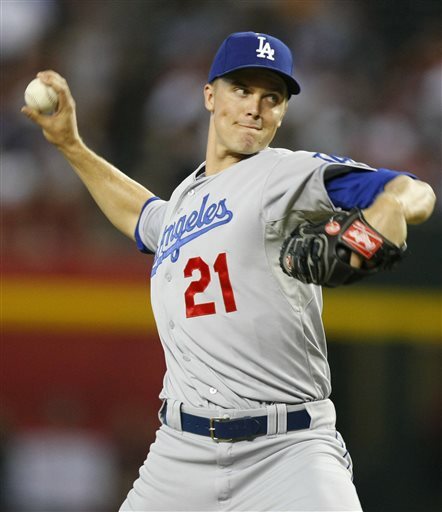 Maybe the club should hope for a Zack Greinke opt out. For a Full Player Breakdown off all Salaries in 2015 – and going forward click here . To keep reading the rest of this article CLICK THE READ THE REST OF THIS BLOG ICON, or simply continue scrolling down if there is no ICON like that. The best letter grade we gave out was to the Milwaukee Brewers, The team pole vaulted out to a fast start, and despite other clubs having a lot more talent than this bunch, young players have emerged for the Brew Crew. Even with recent play, the other teams have had injury trouble while Milwaukee is relatively healthy. Still with 4 clubs within 3.5 games or better in the NL Central, this should be a dogfight to the bitter end. 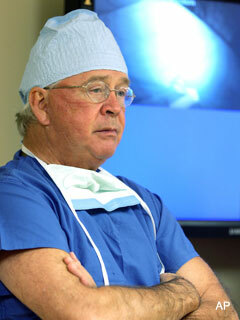 Have dealt with a plethora of injuries to Bryce Harper, Ryan Zimmerman, Wilson Ramos, Adam LaRoche and Doug Fister. Jayson Werth had a nice hot streak right before the end of the 1st half. The team with limited flaws has just not taken off like it should. Gio Gonzalez hasn’t found his form yet. This team has a nice 14 – 6 stretch to end the 1st half. When you consider the club has withstood year ending injuries to Kris Medlen, Brandon Beachy and Gavin Floyd. Dan Uggla and B.J. Upton are making 25% of the team payroll and are posting anemic numbers. The older Upton has done better in the last 10 games. Evan Gattis and Freddie Freeman have kept the team afloat, and whenever Justin Upton hits, this team wins. A great patchwork job done by the Starting Pitchers replacements. Aaron Harang and Alex Wood have done spade work. The Atlanta Braves went to the World Series 5 times in the 90’s, only winning the title in 1995. The team won 14 Division Titles from 1991 – 2005, and have been very competitive for the last 4 years, after a short dry spell from 2006 – 2009.. A lot of it has to do with their Minor League System. Do you ever wonder how the Atlanta Braves have been so successful as an organization for the last quarter century? The answer is they are able to develop within. In fact, the only times the club seems to do poorly is when it goes outside its comfort zone, and spend a bushel full of money for Free Agency. Take the B.J. Upton abysmal deal, that may plague the franchise for spending until they reach their new stadium digs in Cobb County GA. Yes, they hit a HR in the mid-90’s when they signed Greg Maddux, but times have changed for the economy of baseball. The club also suffers from the trade to acquire Dan Uggla. These are small blips on a stellar establishment mostly comprised of homegrown talent. Freddie Freeman, Jason Heyward, Craig Kimbrel, Alex Wood, Julio Teheran, Andrelton Simmons and Evan Gattis are the future of this team. Braves fans are hoping for another World Series Winner. If you are a fan, get to know these players we list in the post, and follow their progress in the Minors. if you click their name, it will take you to baseballreference.com’s player page of them. Dodgers are still a good pick, but with SF lurking and Clayton Kershaw not back yet, that +600 looks bad. Plus SF beat them 5 out of 6 so far. I like this club – but Stephen Strasburg‘s slow start, and injuries are plaguing Ryan Zimmerman and even Bryce Harper to an extent. Plus Atlanta is right there with them right now. Lets see. They can’t score that well yet, and have a horrid start with the Bullpen. The odds has swung to far to the favorite side here. Stay Away. With injuries to the Pitching Staff mounting fast for the Rays, and now with them not paying out such a great odd, the value pendulum has swung back to pick either the Yankees at +900 or the Red Sox at +750 for the AL Pennant. The Yankees just took 3 out of 4 from the Red Sox, have a better offense in this year’s lineup, and have decent pitching. Boston is the reigning champs – and will be part of the race before all is said and done. Factor in major injuries to Texas, Oakland and the LA Angels early, and a horrid Tigers Bullpen so far, and these two rivals have the best value on the board. The Rays are finally listed where they should be on the betting board. 3 teams start play today tied in the AL East in the Rays, Yankees and Jays. Baltimore has struggled along with Boston. I think it is way too early to shovel dirt on the Red Sox season. While I think they may not take down another pennant, they are my 2nd favorite play in the AL Pennant Odd list for return. The Yankees are my favorite odds pick right now with a +900 mark. Well, another 7 days has passed in baseball for this year. The have and the have not’ s have started to dictate their positions in the game of baseball. The Milwaukee Brewers, Colorado Rockies, Atlanta Braves and San Francisco Giants were the biggest movers and shakers up the leaderboard. On the other side of the coin, bettors have lost faith in the Orioles, Reds, Angels, Phillies and Diamondbacks. I still don’t get why they are the current AL favorite over Detroit. Despite that fact, Boston won their opening series – while all of the 4 other teams have tied or losing records through their 1st series. i don’t think a slight drop was warranted – especially when you consider only the Tigers and Mariners have a better record than the Red Sox right now. They are tied with the Indians, Rangers, Astros and White Sox for their 2 – 1 record. 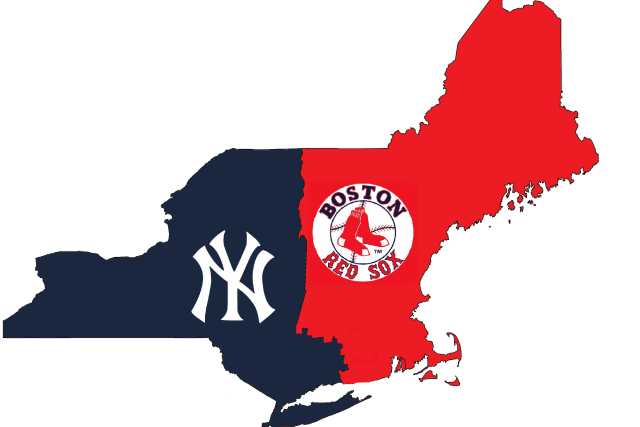 I am not sure why this club has moved down as they took 2 out of 3 versus the Orioles, and the Yankees are 1 – 2, while Tampa and Toronto split a series. 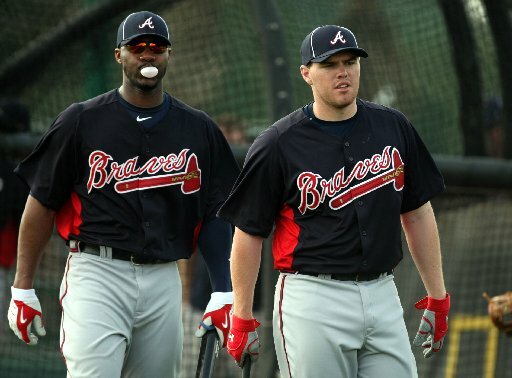 Freddie Freeman and Jason Heyward are the future of this team. Having said that, Freeman has displayed a little bit more consistency in his play to start their Careers. In 1908 AB so far (about 3 full years), Freeman has a 3 Slash Line of .285/.355/.466 with 68 HRs and 280 RBI. 2013 saw him make his 1st ALL – Star Game, and finish 5th in NL MVP Voting by going .319/.396/.501 – with 23 HRs and 109 RBI despite missing 15 games. The Braves won 95 Games in 2013, and the NL East was a runaway by 9 games over Washington. This was done even though of paltry numbers posted by Dan Uggla and B.J. Upton, and a half year with Jason Heyward hitting underneath the Mendoza Line. The game changer for the offense was a surprise performance by 3B Chris Johnson, who contended for the NL Batting Title for the better part of the whole year. Evan Gattis and Brian McCann also hit near 20+ HRs each for just about a seasons worth of Plate Appearances out of the Catchers position. Justin Upton charged out of the gates in April with 12 HRs, and then after going cold in the next 3 months. bounced back in August to take a run at it again. 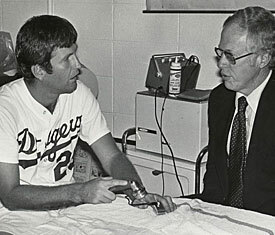 The theme of the week is Tommy John Surgery . It has affected the Athletics, Braves and Diamondbacks on the odds board all over. 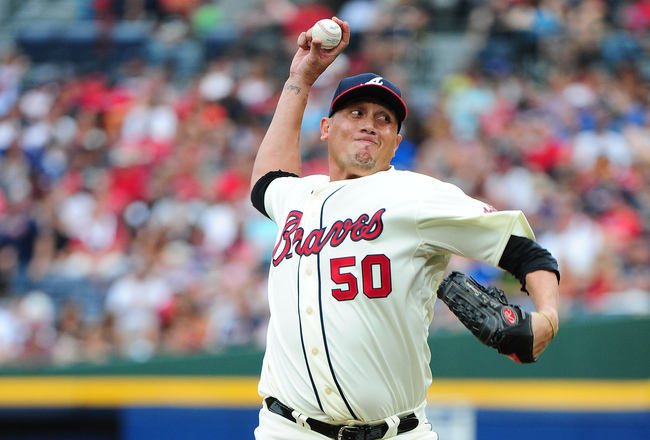 Brandon Beachy and Kris Medlen moved the line for the Braves from a +120 Mark to +140. Arizona went from +650 to +700 on the heels of Patrick Corbin being lost. WE ARE BACK!! On this podcast I have on the owner & head writer of www.mlbreports.com, Chuck Booth as we go over first the Australian series to start the 2014 MLB season with a double header with the Dodgers & the Diamondbacks!! Then we go over each division in the American League & the National League with our division predictions!! But not only do we do that but we also give our wild card & championship series predictions for both leagues!! Plus we gave our World Series & World series winner predictions to put the cherry on this baseball podcast sundae. Last Week, Hunter Stokes (MLB Reports Chief Writer) picked through http://www.bovada.com – and what value was to be had in their odds sheet for regular year win over/unders. This time, I am looking at bet365.com for some of the same. Hunter and I both come from the handicapping landscape, and have done quite well in the last few years. While I predicted a Detroit and Cincinnati World Series pre 2012, Hunter picked the Giants and Yankees. That was a much better year than the 2013 season. In 2013, I did say it was going to be Los Angeles Dodgers versus the Angels in a freeway Series, and Hunter picked Detroit and Atlanta. You do okay if you can have a final 4 participant. This year, it looks like we both have the LA Dodgers to win in the Fall Classic, but I have them beating the Tigers, while Mr. Stokes likes the Rangers to faceoff against them. Just to reset this, we will be bringing you this column once a week during the regular season. This is worth paying attention to. Think of them as power rankings as put forth by the website. It was a move that had to be done in my view. Atlanta has 60% of its Starting Rotation currently in the sick bay, or has questionable thoughts to whether it could pitch near Opening Day. In the end it is a Win/Win situation for all above. The Braves acquire a top end of the rotation guy, and it serves as great insurance, and Santana is able to play for a full season trying to re-establish his worth on next winter’s open market. Sure Atlanta sacrifices a 1st RD pick, but they are still receiving the compensation Pick from the Yankees for the Brian McCann signing. Is A Chief Needed For The Braves Young Rotation? At first thought of Freddy Garcia stepping anywhere near the hill to start a playoff game, may have fans cringe at the thought, but keep in mind of his prior playoff pedigree. In a spot start or a pinch, the wily veteran chucker may be up for the challenge. The 36 Year Old from Venezuela, holds a 6 – 3 record – with a 3.28 ERA in 10 Post Season Game Starts, and in particular was 3 – 0, with a 2.14 ERA for the 2005 World Champion White Sox. Could he channel some of his experience for Atlanta if called upon? Freddy Garcia, nicknamed the “chief” has recently been called up from the minor leagues to add some relief to the Atlanta bullpen. At first I was very skeptical of the move and didn’t really see it as being anymore then an inexpensive way to eat up innings down the stretch while the team sits on a large division lead. Then when Garcia began to see minor league action and couldn’t seem to get anyone out I became even more convinced that this deal wouldn’t amount to anything. Well we all know how quickly things can change in Major League Baseball and today’s zeros can become tomorrow’s hero’s in the blink of an eye. 42 – 8, 25 – 3, 19 – 1, 10 wins in a row. These are all significant numbers put up with a team with deep pockets, the ability to outdraw everyone for park attendance, and owners willing to do whatever it takes to bring home the 1st World Series Title since 1988. No one can touch these guys right now. Best 3 Starters in the NL and hottest 2 NL Hitters in Puig and Ramirez. Oh yeah, the Bullpen has been lights out for the last 50 contests! It is time for the MLB Power Rankings. These are based on my thoughts on whether who has the best chance to win the World Series. 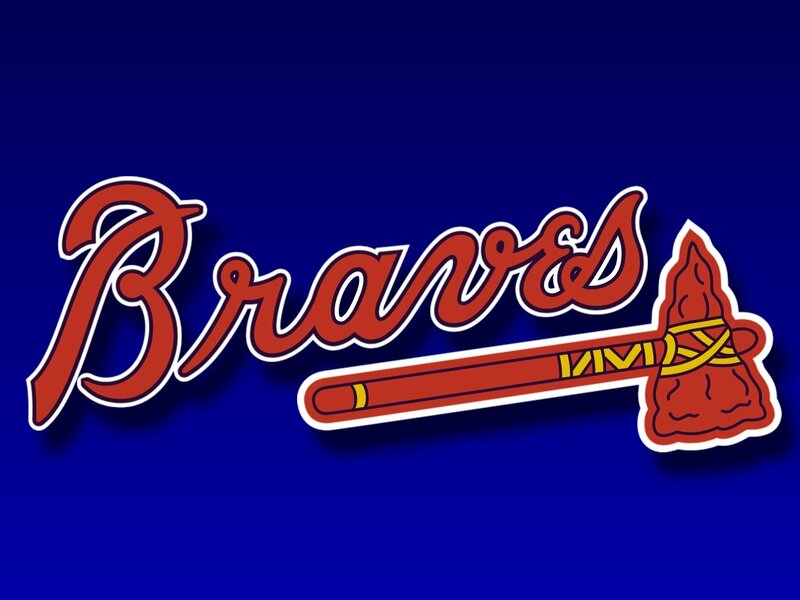 The Braves have rattled of a 18 – 3 stretch, and have been ousted by the Dodgers for the #1 spot in the MLB Rankings . The Rangers are trying to ricochet off of a couple of great deals, in order to flame down the Oakland Athletics. 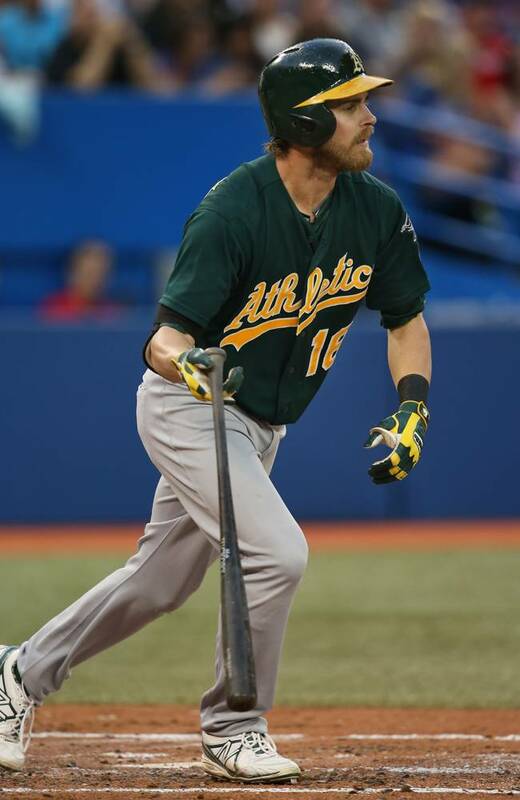 Josh Reddick homered three times and drove in 5 runs as the Oakland offense demolished Toronto pitching, 14-6. David Price pitched 7 innings and letting up no earned runs. However Tampa’s bullpen betrayed him after the Dodgers rallied for 4 runs in the bottom of the 9th and shocked the Rays, 7-6. Paul Goldschmidt hit a walk off homer, walked twice and stole a base, giving the Diamondbacks a much needed 5-4 victory over the Mets. 14 months after going through TJ surgery, Brandon Beachy dominated the Marlins throwing 8 shutout innings and extending the Braves winning streak to 14 games with the 5-0 final. They all owned baseball on August 9, 2013. My explanation for “Who Owns Baseball” can be found here. At the end of the year, we will tally up who owned baseball the most individual days and see how it compares to the final MVP and Cy Young vote. To view the Yearly Leaders for Who Owned Baseball Standings – Click the READ THE REST OF THIS ENTRY ICON . The Dodgers have won 25 out of their last 31, play in the weakest division in the MLB right now, and other than Arizona, do not have much competition. Solid Pitching and a revamped healthy lineup has led the charge. They climbed all the way up to 6th in this weeks rankings. The Dodgers have a 230 Million Dollar Plus payroll, and have no plans to slow down in this offseason. It may actually be a blessing in disguise if this team makes a long run in the playoffs. It has been speculated they will pursue Robinson Cano this winter. I have predicted they will offer him a 7 – 8 year deal worth $30 MIL per annum. The Detroit Tigers finds itself back on top of our rankings. It was a hard decision between them and the Atlanta Braves. The prevailing thought is that I am more confident in the “Motown Boys” to make the World Series. Since starting the year 12 – 11, the Braves have only gone 47 – 44. Lets just say the should finish the season with about 89 wins. That would force Washington to go 38 – 19 in their final 57 Games. I fully expect the Nationals to take off at any part in the season, so this is not a foreign concept. In contrast, I don’t believe in either the Indians or Royals to near 90 wins like the Tigers should have by seasons end. With a bypass to eliminate the Wild Card Game, Detroit is our #1 team. 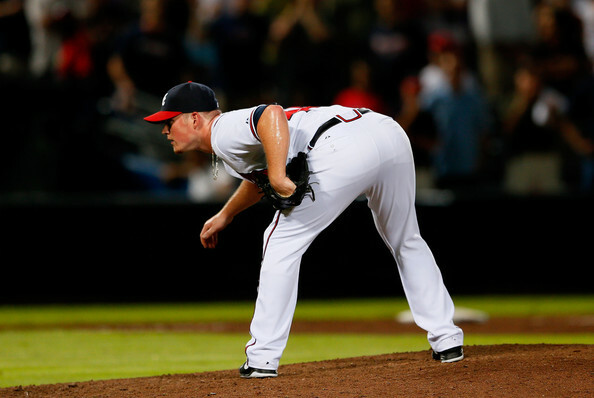 Craig Kimbrel is one of the best young closers in baseball. 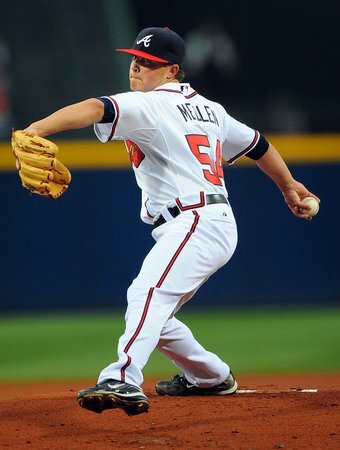 He has saved 27 games this season for the Braves and with only three blown saves. The hard-throwing righty has a 1.49 ERA with 57 strikeouts and 13 walks in 36.1 innings pitched. He has a WHIP of 0.99 and 14.1 SO/9. The opposition is just hitting .181 against him, and he is holding right-handed batters to a .140 average. He is holding opposing teams an average of just .129 when runners are in scoring position. They fare a little better with runners on and two outs with a .176 average. The Atlanta Braves have a comfortable lead in the National League East division with them ahead 6 ½ games on the Philadelphia Phillies. This division is having a down year, with no team a legitimate threat to catch Atlanta. The Braves have a high-powered offense that only a few teams in baseball can match. They have the 3rd best offense in the NL with them scoring 425 runs this season. 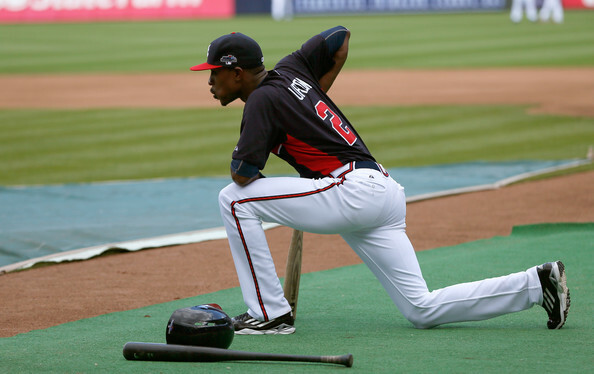 Atlanta has a play style that is more suited to the American League than the NL. 2 And A Hook Podcast Ep #8: Dodgers (Puig Especially), White Sox + Braves Talk With Awesome Guests! 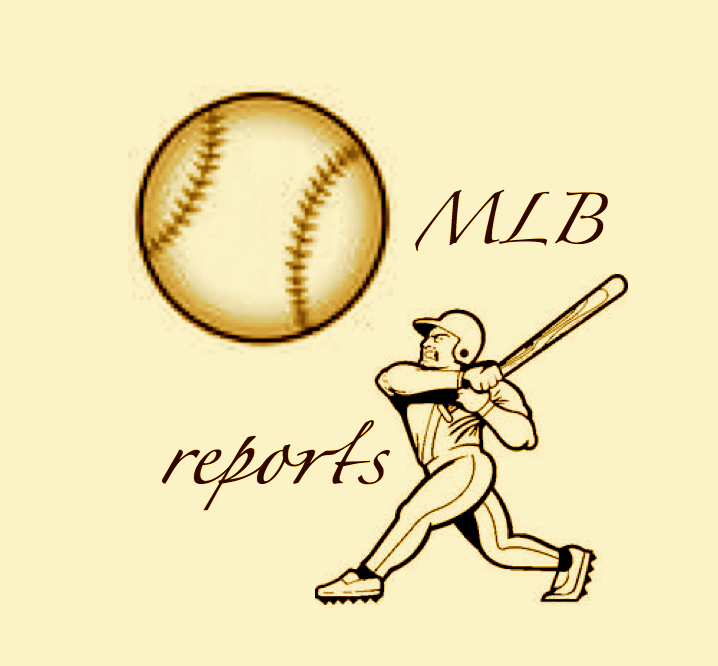 MLB reports and The Benchwarmers Show present 2 and A Hook Podcast. Also I interviewed MLB Reports White Sox correspondent Brian Madsen about the White Sox offensive struggles, is their farm system producing any future ball players & other stuff…also I do my Stats & Facts segment as usual so check out this baseball podcast that talks baseball like it outta be!!! SPREAD THE WORD!! Thank you all for your support!!! The Detroit Tigers were second on the list for moving up rankings with 5 spots. They have overtaken the Indians in the AL Central – and have 5 players that are hitting north of .300. Their top 4 Starters may be the best in the game – and they play in an extremely winnable division where teams can`t match them for payroll or talent. Miguel Cabrera is the best hitter on the planet – and has great support. The Oakland Athletics are making another run at the expense of the lesser lites in the Division. This team feasts on the Astros and Mariners – and are not half bad at playing the Rangers and Angels either. The goal for them is to continue to pitch. They must try to at least take 2 games versus San Francisco in the 4 game set. The Kansas City Royals may have rolled up snake eyes in gambling on their 2013 season. Suffering the longest playoff drought in the majors at 28 years, the franchise traded away its best prospect player in Wil Myers for a 2 year pitching solution in James Shields. The problem is that their nucleus of young talented hitters have failed them. Eric Hosmer and Mike Moustakas are being outpowered by some teams Pitching cores in the NL.